[Brian Dipert] over at EDN has a teardown of Belkin’s answer to the Internet of Things (IoT) craze: the WeMo. This little WiFi gadget plugs into an outlet and lets you turn a connected device on and off from a smart phone app or something like Amazon Echo. As you might expect from a cheap piece of consumer hardware, there’s not a whole lot inside. The digital board contains a Ralink WiFi chip, an antenna etched on the PCB, and a handful of components, including an SDRAM and some flash memory. [Tim] was looking for a way to control his power outlets using WiFi. He looked into purchasing a WeMo but he realized that he could build something even better with more bang for his buck. He started out by purchasing a five pack of Etekcity wireless remote control outlet switches. These are kind of like the WeMo, only they aren’t controlled via WiFi. Instead, they come with an RF controller. [Tim] just needed to find a way to bridge the gap between the RF remote and WiFi. [Tim] decided to use a Raspberry Pi as the brains of the controller. He also purchased a SMAKN 433MHz RF receiver and transmitter for communicating with the wireless outlet switches. The wiring for the modules is pretty simple. There are only four wires. There are power and ground wires for each module. Then the transmitter needs two GPIO pins while the receiver only needs one. [Tim] began with a fresh installation of Raspbian. He then installed Wiring Pi, which gives you the ability to interface with the GPIO pins in a way that is similar to Arduino. He also installed Apache and PHP to create a web interface for switching the outlets. The last step was to write some custom software. The software included a script that allowed [Tim] to sniff out the controls of his RF remote. The correct codes are entered into the “toggle.php” file, and everything is set. All [Tim] has to do now is browse to his Pi’s web server and click a button. All of the custom code is available via git. If you are like [Gbola], then you have a hard time waking up during the winter months. Something about the fact that it’s still dark outside just makes it that much more difficult to get out of bed. [Gbola] decided to build his own solution to this problem, by gradually waking himself up with an electric light. He was able to do this using all off-the-shelf components and a bit of playing around with the Tasker Android application. [Gbola] started out with a standard desk lamp. He replaced the light bulb with a larger bulb that simulates the color temperature of natural daylight. He then switched the lamp on and plugged it into a WeMo power switch module. A WeMo is a commercial product that attempts to make home automation accessible for consumers. This particular module allows [Gbola] to control the power to his desk lamp using his smart phone. [Gbola] mentions that the official WeMo Android application is slow and includes no integration with Tasker. He instead decided to use the third-party WeMoWay application, which does include Tasker support. Tasker is a separate Android application that allows you to configure your device to perform a set task or series of tasks based on a context. For example you might turn your phone to silent mode when your GPS signal shows you are at work. 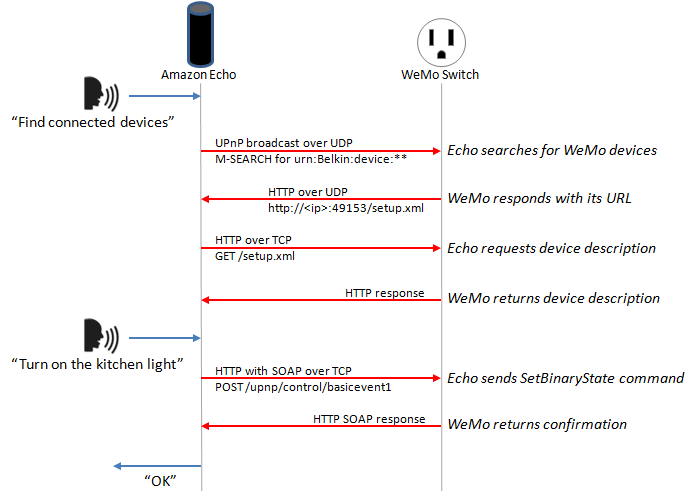 WeMoWay allows [Gbola] to interact with his WeMo device based on any parameter he configures. On top of all of that, [Gbola] also had to install three Tasker plugins. These were AutoAlarm, Taskkill, and WiFi Connect. He then got to work with Tasker. He configured a custom task to identify when the next alarm was configured on the phone. It then sets two custom variables, one for 20 minutes before the alarm (turn on the lamp) and one for 10 minutes after (turn it off). [Gbola] then built a second task to actually control the lamp. This task first disconnects and reconnects to the WiFi network. [Gbola] found that the WeMoWay application is buggy and this “WiFi reset” helps to make it more reliable. It then kills the WeMoWay app and restarts it. Finally, it executes the command to toggle the state of the lamp. The project page has detailed instructions in case anyone wants to duplicate this. It seems like a relatively painless way to build your own solution for less than the cost of a specialized alarm clock lamp. We’ve seen some of [Connor]’s work before, and it looks like he’s now turning to product design. 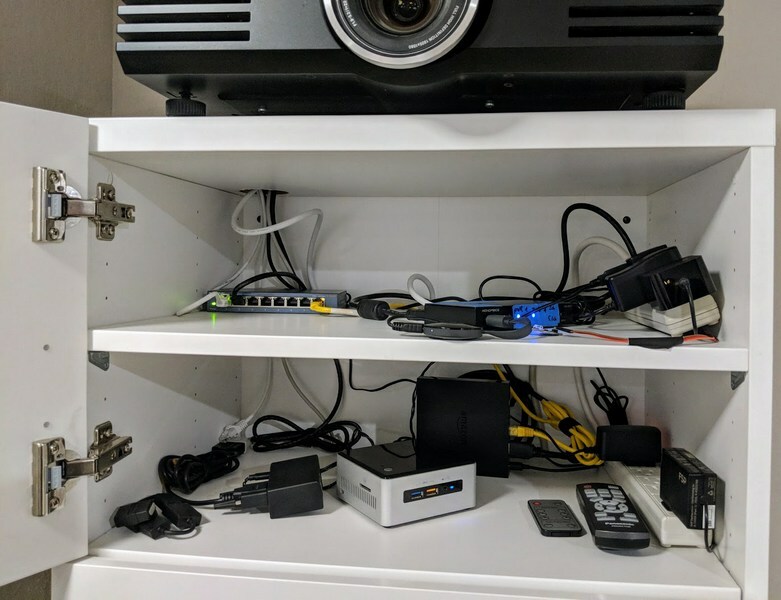 He’s come up with an adapter for the Raspberry Pi to control a few wireless wall socket relays, allowing anyone with a Pi to control lights, coffee makers, TVs, and anything else that falls under the very broad home automation banner. The system uses a 315MHz radio breakout board for a Raspberry Pi to control the relays in one of three wall socket adapters. There’s a script running on the Pi with a very nice GUI to turn the lights on and off. [Connor]’s product is extremely similar to a certain WiFi-enabled wall-plug relay system controlled by a smartphone, and to that end, he’s decided to call his device the Belchin’ Emo Switch. The name might need work, but he’s selling three Raspberry Pi-controlled wall plugs for the same price of one wall plug from Brand A. Below you’ll find [Connor]’s videos for his device. You can also check out this reddit thread where he shows off just how open source he can be; there are part suppliers and even how he’s packaging this system for shipment.